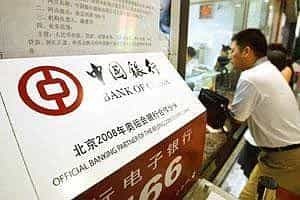 Beijing: China said it plans to increase the amount of money circulating in its economy next year in a new effort to spur consumer spending and shield the country from a global downturn. There are mounting signs that China’s economic slowdown is sharper and deeper than expected. Exports fell in November for the first time in seven years and the industry minister warned on Friday that worse was yet to come. China will increase its money supply by 17% next year, the cabinet said in a statement on its website. It said that would be 3-4 percentage points above the total growth of economic output and consumer prices. Increasing the supply of money is aimed at stimulating domestic economic activity and spending by making more credit available to encourage consumers and companies to borrow. “We must strengthen the role of the financial sector in supporting economic growth by better implementing an active fiscal policy and moderately easing monetary policy," the cabinet statement said. The growth rate of China’s money supply slipped this year as business activity and bank lending slowed. The growth in China’s broadest measure of money supply (which includes cash and bank deposits) shrank from 16% in August to 15% in November, according to the central bank.